While much of Europe focuses on the winners of the major leagues around the continent, the most surprising story of the season came at the wrong end of La Liga as one-time Champions League semi-finalists Villarreal were relegated. No one would have predicted relegation for the Yellow Submarine. They had not finished outside the top eight since 2002/2003, qualified for the Champions League on three occasions and reached the semi-finals losing out to Arsenal in 2006. Even in the season before their relegation Villarreal finished fourth qualifying again for Europe’s premier competition. Over the last decade Villarreal have become known for vibrant attacking football helped by players like Juan Roman Riquelme and Diego Forlan. Despite the constant selling of their best players El Submarino Amarillo maintained great consistency replacing their best players with other stars like Nihat, Nilmar and Rossi. This season though it has all caught up with them. They sold Spanish international Santi Cazorla to Malaga for €20 million and his replacement Jonathan De Guzman failed to live up to expectations. 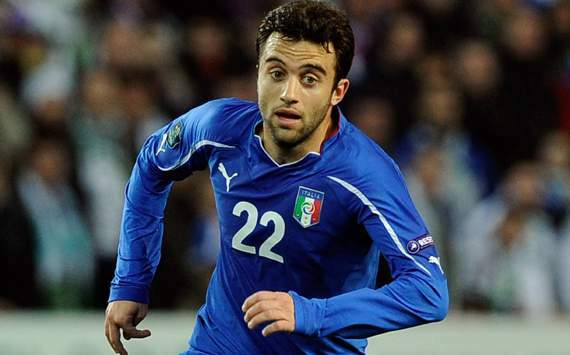 The biggest blow was the injury to top striker Giuseppe Rossi. The Italian tore knee ligaments in October and suffered a relapse when he was due to return for the final few games of the season. 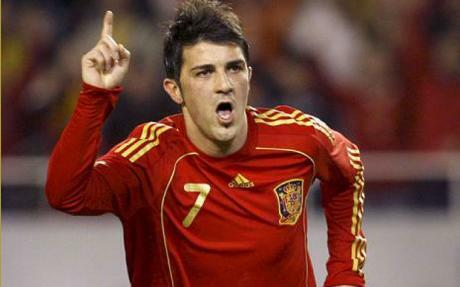 Villarreal failed to replace him with Marco Ruben finishing top scorer with just nine goals. They managed just 39 goals in 38 games and their 14 draws proved very costly. 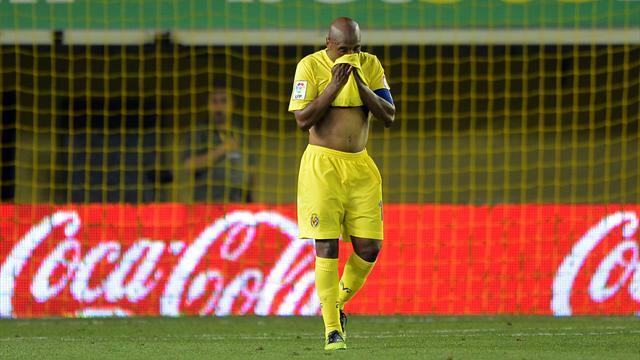 A lack of stability in the managerial position certainly didn’t help Villarreal’s cause. Juan Carlos Garrido started the season in charge but having lost all six Champions League group games, missing out on the Europa League and then a humiliating Copa Del Rey exit to third-tier Mirandes he was sacked. His replacement Jose Molina only lasted until March as the league form failed to improve. The experienced Miguel Angel Lotina took charge but with the squad unaccustomed to a relegation battle and the new boss becoming more and more defensively minded they were unable to get the results they needed. The last game summed up Villarreal’s season. Just needing a draw against Atletico Madrid at home to survive Lotina opted for a cautious approach which was undone when Atletico scored in the 88th minute and Rayo Vallecano snatched a last minute win at Granada to send Villarreal down. So what next for them? They can take heart from Deportivo’s promotion from the Segunda back to the top division after just one season. There may also be major rebuilding work to do with the squad. The likes of Senna, Rossi, Nilmar and Zapata are bound to attract attention from clubs in top leagues in Europe. With the backing of wealthy ceramics tycoon and club President Fernando Roig though Villarreal will be favourite’s for an immediate return and could become one of the major teams in Spain again. La Liga’s dominance of Europe’s second most prestigious tournament should serve as a timely reminder of what the Premier League is missing out on. This week sees the return of the Champions League, with much of the attention focusing on Chelsea’s clash with Barcelona, while Bayern Munich face off against Real Madrid. Yet for all the glitz and glamour of the tournament, just 24 hours later, another set of European fixtures could make for interesting viewing. On Thursday evening, Atletico Madrid and Valencia will play in the semi-final of the Europa League while Athletic Bilbao head to Portugal to face Sporting Lisbon. The line-up stands as a testament to the depth in quality that exists in Spain with Atletico and Bilbao reaching this stage of the competition after navigating a tricky group and knock-out phase. This was undoubtedly evidenced during Bilbao’s demolition of Manchester United. Entering the competition after being dumped out of the Champions League, United were fortunate to escape with a 3-2 defeat at Old Trafford in the first leg, but even then manager Alex Ferguson sensed the tide of the tie was against them. The comments spoke volumes for the quality of Marcelo Bielsa’s Bilbao team, given number of times Ferguson has come out fighting when the Reds have faced seemingly insurmountable odds. They were quickly confirmed too with a 2-1 defeat in the return fixture. Yet in truth, Spain’s continued love affair with the Europa League should come as little surprise to those who have followed the competition over the years. From Sevilla’s back-to-back wins in the mid-2000s to the more recent win for the likes of Atletico Madrid and with notable runs for the likes of Espanyol, Getafe and Villarreal, Spanish league sides have always taken a keen interest in the pursuit of the trophy. It is an understandable focus too, with much of the domestic game swallowed up by the dominance of Real Madrid and Barcelona. But despite the notable similarities in the English game, with the economic powerhouses of Manchester United, Chelsea and Manchester City dominating proceedings, Premier League perceptions of the competition portray it as a nuisance. Tottenham manager Harry Redknapp described the competition as “a killer” to his side’s chances of competing for Champions League qualification warning “Thursday and Sunday every week…you’ve got no chance in the Premier League with that”. Yet the relative progress of a Stoke City team with far less resources than the likes of Tottenham, alongside solid league form, indicates that this may be an incorrect assumption. Spanish clubs are not the only nation reaping the benefits of Europa League football either, as Germany continues to enjoy relative success in the tournament, with the unfancied Hannover 96 and Schalke 04 progressing to the quarter-finals stage via the group stage. Is it any coincidence then that Spain, Germany and other Europa League enthusiasts Portugal, excel most at international level? Encouraging English participation in this tournament could make for a more rounded domestic game, and could offer some solace for fans tired of the continued chase for the so-called ‘success’ of finishing fourth in the Premier League. Fulham’s previous run in the competition demonstrated the thrills and passion that the Europa League can bring to fans and the game as a whole with few Cottagers fans able to forget the famous victory over Juventus en route to the final. For the English game to reap any notable reward from the tournament though, a change of perception is required among the likes of Liverpool and Tottenham. The Europa League is no killer – it could breathe new life into the English game. With only a couple of months before Euro 2012, and the teams and groups decided, the last thing to be confirmed are each nation’s squads. With the tournament only being played once every four years, it may be some players’ last chance to feature, with all the major superstars keen to playin Ukraine and Poland. However, some more than others are in danger of missing out through injury, poor form or selection issues at club level; here are the top seven sitting on the fence. The World Cup winning striker has lost his way since the last major international tournament, and is no longer guaranteed a place in Vicente del Bosque’s Spain squad. With a barren spell at Chelsea blighting El Nino’s career, the likes of Alvaro Negredo, Roberto Soldado and Fernando Llorente could get the nod ahead of Torres. One of the most clinical strikers in the Premier League when given an opportunity, Defoe has had a frustrating season in and out of the Tottenham side. 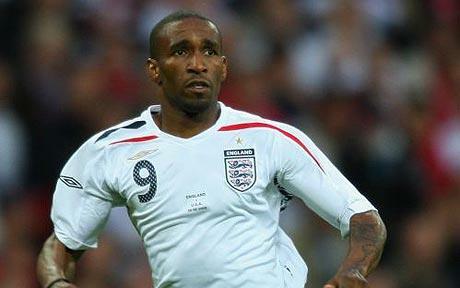 With Emmanuel Adebayor and Rafael van der Vaart ahead of the Englishman in Harry Redknapp’s preferences, Defoe may well miss out on the competition due to lack of playing time. 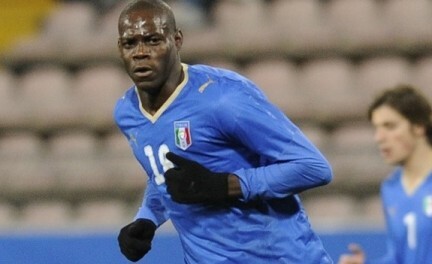 During the qualifiers Cesare Prandelli used the Manchester City forward on a regular basis, and Balotelli started to lead the line towards the end of that campaign. However, the national selector recently left Super Mario out of his squad for a friendly against the United States, claiming Balotelli’s immaturity and indiscipline as the reason. Spain and Barcelona star Villa would have been a certainty had he been fit, but a broken leg in the Club World Cup in December has the Camp Nou man cutting it fine. Villa should make it back to club action before the end of the season, but with the number of Spanish attackers available, is not guaranteed participation. Another star to pick up a serious injury, Rossi ruptured knee ligaments in October, and has been through a strenuous rehabilitation process since. The Villarreal forward was in Prandelli’s preferences before the setback, and has targeted April for a possible return to action. 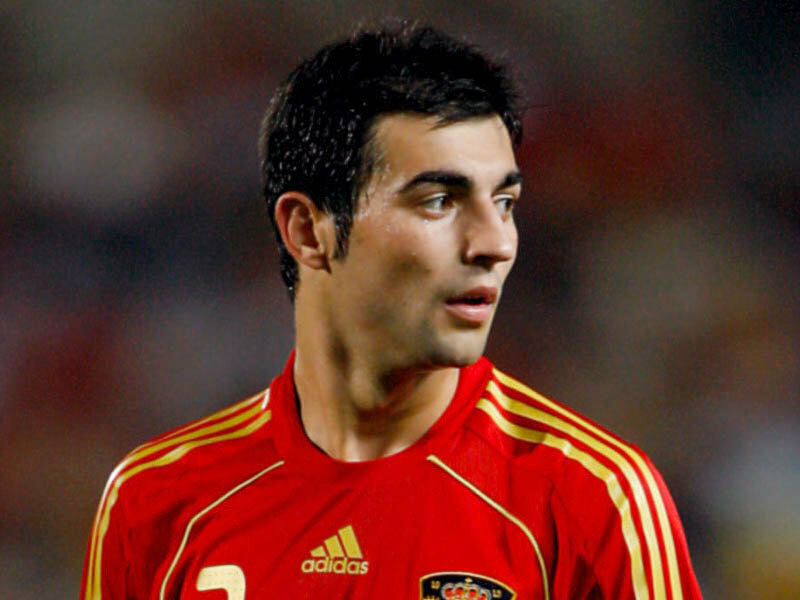 With Jose Mourinho using Sergio Ramos in the centre of his Real Madrid defence alongside either Pepe or Ricardo Carvalho, Albiol is a serious doubt for Euro 2012. The ex-Valencia man has only made five appearances in the Primera Division this term, and with versatile Javi Martinez and Sergio Busquets also being able to play at the back, Albiol needs a miracle to be included. The Arsenal playmaker has not played a minute of football this season due to a knee injury in pre-season, although Arsene Wenger has promised that his star will be available before the end of the Premier League campaign. However with Frank Lampard, Steven Gerrard, Scott Parker, Tom Cleverley, Gareth Barry, Michael Carrick and maybe even Paul Scholes in contention for a place in the centre of the park, Wilshere needs to hurry up. Villarreal have progressed to the Europa League semi-finals after dispatching Dutch side FC Twente ruthlessly 8-2 on aggregate, setting up a mouthwatering tie against newly crowned Portuguese champions Porto. Juan Carlos Garrido’s team are on the up; they sit fourth in the La Liga standings and are on the verge of competing in the Champions League again, a competition they reached the last four in back in 2005-06. The Yellow Submarine have installed themselves as one of Spain’s top teams, and the fans at the Madrigal will pray for Europa League glory as a precursor for their return to Europe’s top tournament next season. But what are the Castellon based side’s chances of Europa League success? The Spanish club have showcased scintillating and attacking football in the knockout rounds of the competition thusfar, beating some good sides in the process. Along with Twente, Garrido’s side have dispatched Serie A and the Bundesliga’s second placed teams in the form of Napoli and Bayer Leverkusen, winning three out of the four games. The club’s strikeforce are their shining light, with Giuseppe Rossi and Nilmar forming a formidable and potent partnership. ‘Bambino’ is the club’s top goalscorer with 29 goals in all competitions this campaign and the ex-Manchester United hitman has grown in stature with the responsibility of being the club’s main goalgetter. The Italian has linked up well with Nilmar, with the Brazilian adding 18 goals of his own. Added to this are exciting midfield duo Borja Valero and Santiago Cazorla, who are key features in the Villarreal brand of attacking football. Despite having a couple of exceptional players at his disposal, Garrido is limited by a lack of strength in depth and with a trip to the Estadio do Dragao on Thursday where the Portuguese side have looked unbeatable this season, The Yellow Submarine must get the tie back to Spain with a fighting chance of progression. Villarreal’s frailties were showcased in the club’s 5-0 capitulation at the Mestalla earlier this month, and if Hulk, Falcao etc get an early goal they will smell blood in the water and look to end the tie as a contest in the first leg. Rossi and Nilmar have the guile and flair to score against any defence but it will be at the other end of the pitch that could see Villarreal’s European dreams fade away, as the club have conceded a worrying 46 goals in La Liga this season. Carlos Marchena, Mateo Musacchio and co must shackle Porto’s attack, and if they can do this stand a great chance of winning the tie with the Madrigal crowd at their back. It is a safe bet to say that the most likely winner of the competition will come from this side of the draw, as both have the beating of either Benfica or Braga in the final. A solid performance in Portugal should set the tie up nicely for Spanish progression, with El Submarino Amarillo vying to bring European silverware to the Madrigal for the first time.